Inspired by landscapes and the beauty of the great outdoors, this collection finds perfection in the imperfections of nature. Rayell wants to give its customers the opportunity to offer beautiful, hand-crafted pieces that will have longevity way beyond 2019. Natural materials such as wood, rattan and organic cottons feature in the upcoming collection. These pieces are easy to weave into any space and the earthy tones provide a great foundation to add to. 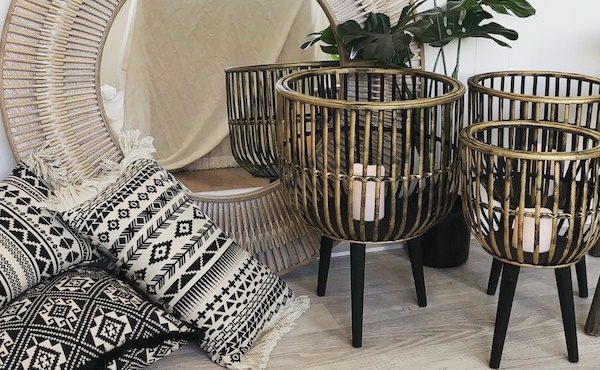 Products include stunning, large rattan mirrors, hand-crafted tableware and unique planter sets. You can pair them together for a cohesive look, or lighten them up with clean whites and greens. This collection is part of the 500+ brand new products that Rayell will be releasing throughout 2019. The vibe for 2019 is to fully embrace nature and draw inspiration from the world around us. Travel inspired decor, mixed with rich earthy tones and textures have proved to be the perfect backdrop to Rayell’s collection. Gorgeous apricots, mustards and rich jewel tones are weaved throughout accents, occasional furniture pieces and wall art. 2019 sees a new direction in product for Rayell. In keeping with the natural aesthetic, Rayell has introduced new product ranges such as planters, bar carts along with homeware accessories for our fur babies.